WESLACO — Cameron and Hidalgo County leaders met with U.S. Rep. Filemon Vela, D-Brownsville, Monday afternoon to convey concerns about being denied grant money to fix infrastructure damaged by widespread flooding in June. The Federal Emergency Management Agency conducted two assessments of damages caused by flooding in Hidalgo, Cameron and Jim Wells counties. Its most recent assessment found the three-county area sustained $20 million in damages, according to Hidalgo County Emergency Manager Rick Saldaña. The region needed to have sustained a $36.7 million impact to qualify for grant money disbursed to public entities. The Rio Grande Valley’s congressional delegation and Sens. John Cornyn and Ted Cruz, R-Texas, plan to author a letter this week addressing concerns raised by local leaders, Vela said. “Maybe transparency is another thing you need to address in your letter,” Hidalgo County Precinct 1 Commissioner David Fuentes suggested after hearing from local leaders who detailed questions left unanswered by FEMA representatives. Commissioners, emergency managers and others were taken aback by an apparent change in the assessment process, which now excludes damages to property operated by certain irrigation districts, according to discussion during the meeting held at the Lower Rio Grande Valley Development Council’s board room. Cameron County, La Feria and Harlingen irrigation districts, which provide municipal water, sustained about $11.6 million in damages, Saldaña said. “Damage is damage, it needs to be counted,” said Cameron County Emergency Manager Tom Hushen. 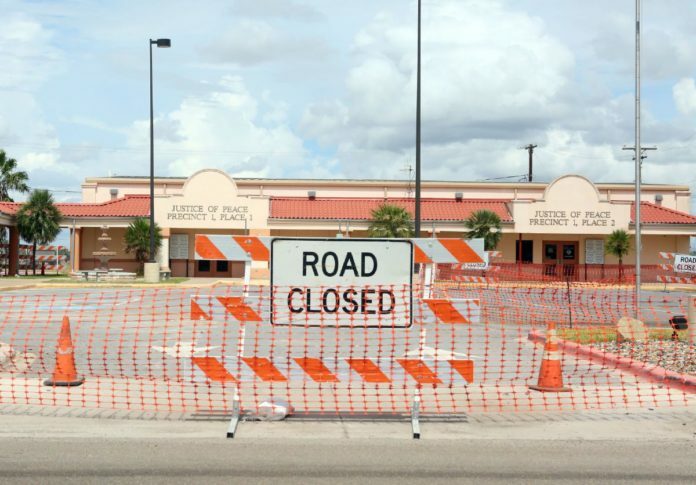 The monetary impact to Hidalgo County and its cities amounted to $25 million. Hidalgo County Drainage District No. 1 reported a $2.3 million impact. In Cameron County, the number calculated by officials totaled $30 million. The local assessments, not including damage to public school property, amount to at least $68.9 million. “We’re not asking for anything that hasn’t been covered and paid for in the past, and that’s my concern,” said Cameron County Judge Eddie Treviño. A joint letter by congressmen and senators representing the Rio Grande Valley will likely be finalized this week. “All five of us are on the same page with this particular issue,” Vela said.